Twitter historically has had a rocky relationship with its developer community. It once encouraged third-party apps, then later restricting them; hosting developer conferences, then killing them; debuting a suite of developer tools, then selling them; and despite issuing a mea culpa, the company failed to regain the trust of many. 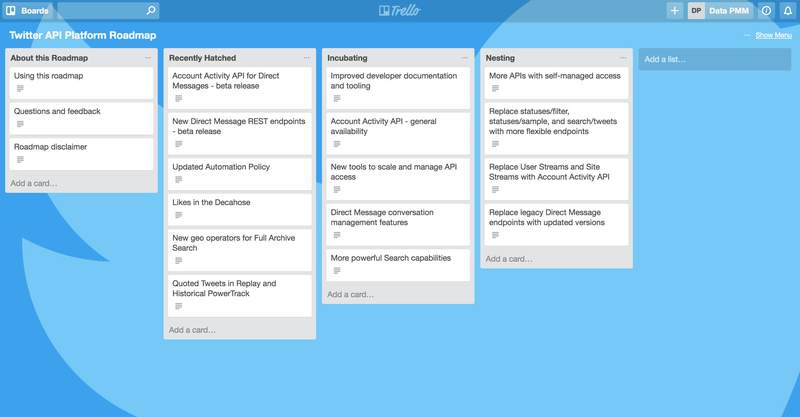 Today, Twitter is trying to reset developer relations yet again with the unveiling of its vision for the Twitter API platform and, for the first time, publishing its public roadmap of what it has planned. To begin, Twitter is finally taking fully advantage of its investment in Gnip .